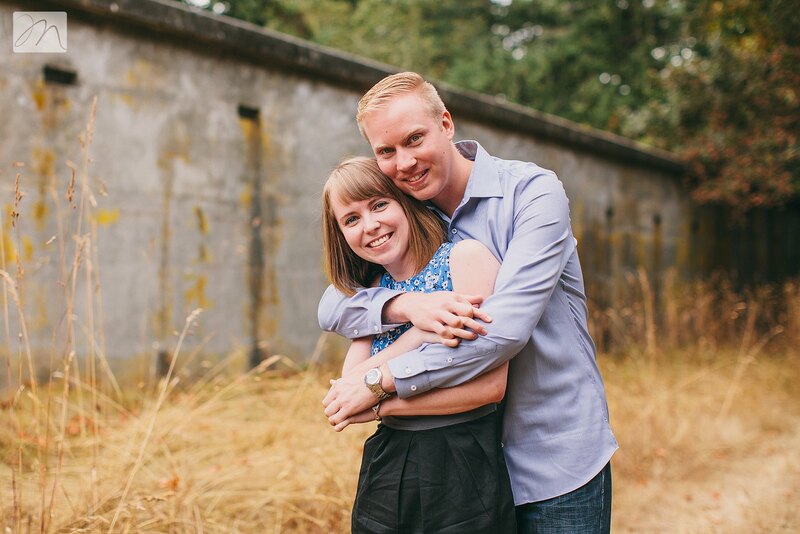 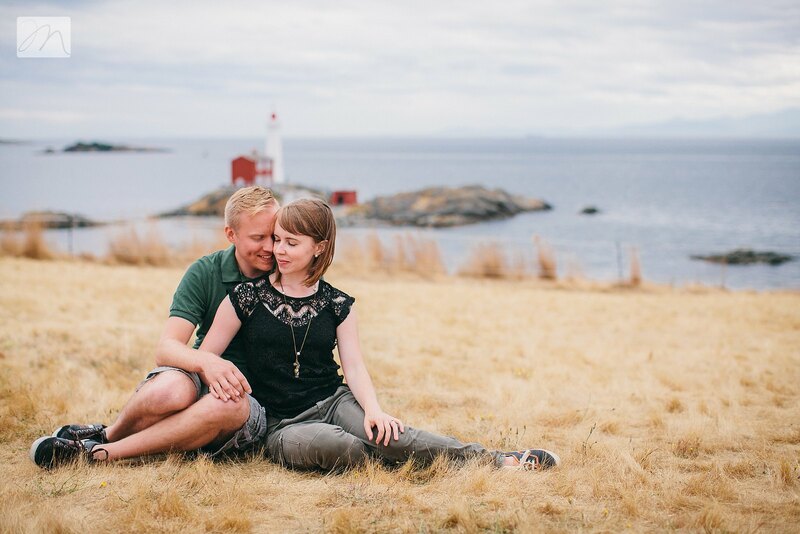 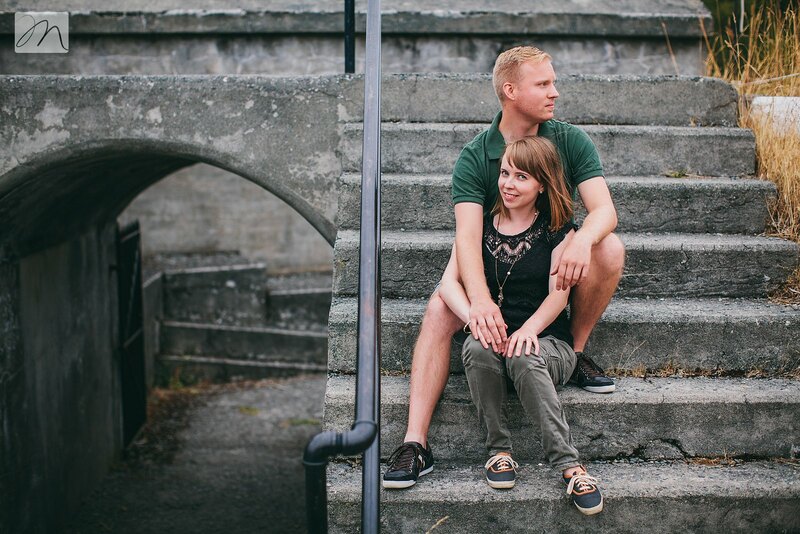 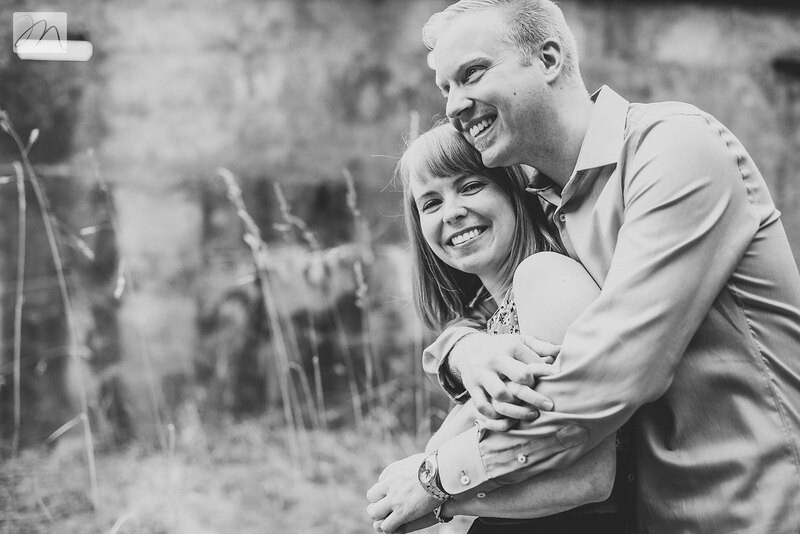 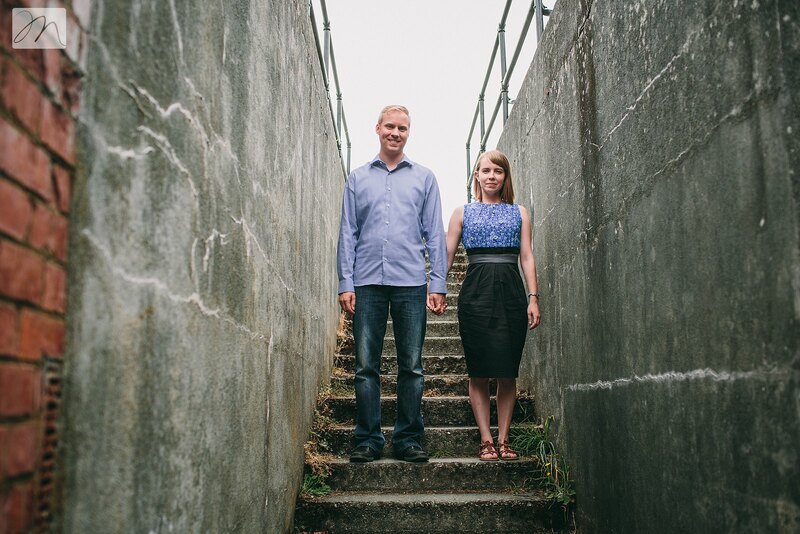 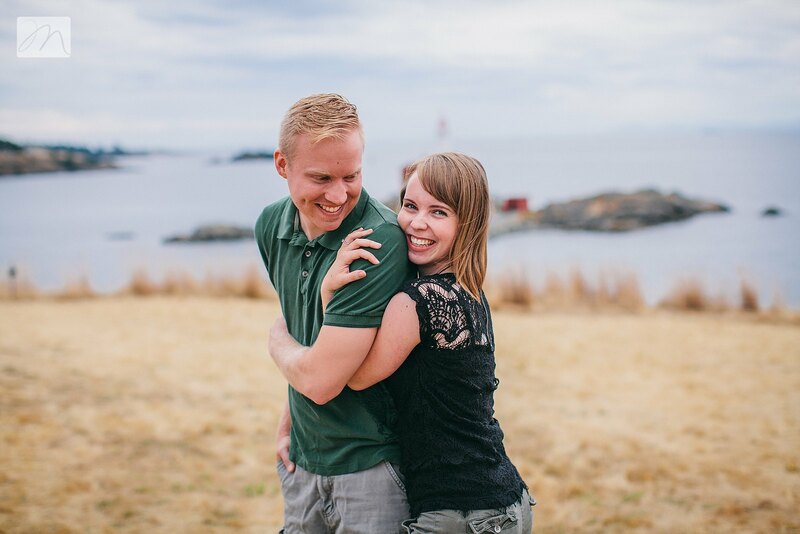 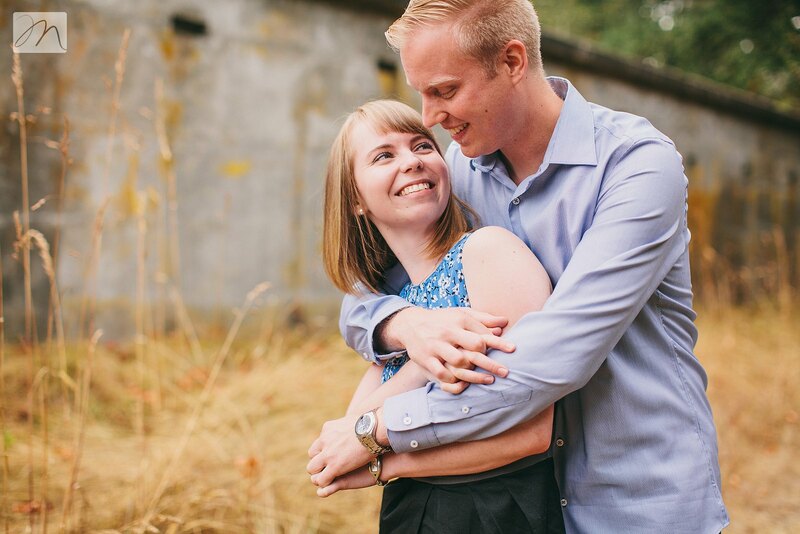 We met Steve and Andrea at our church and were thrilled when we heard the news about their engagement! 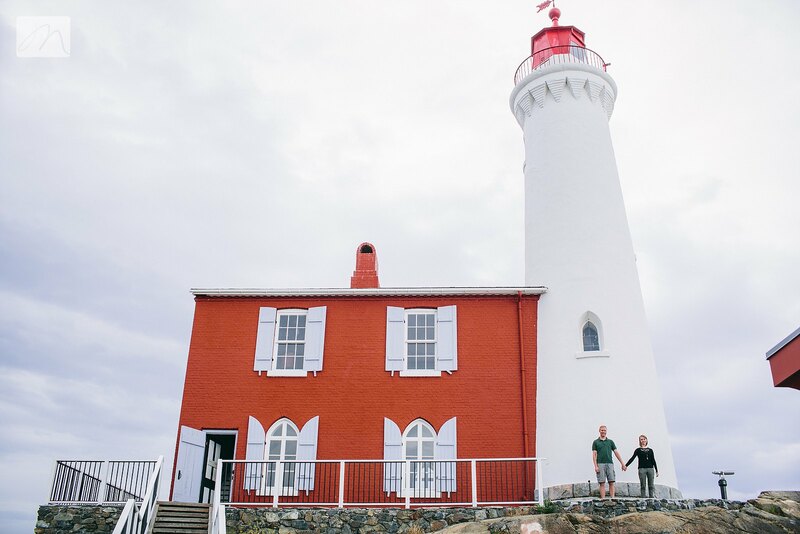 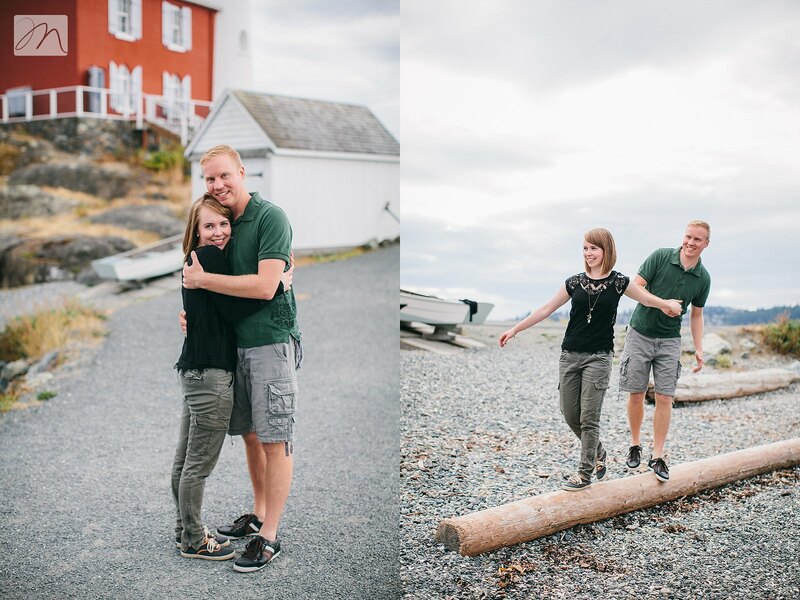 We were even more thrilled when they asked us to be their wedding photographers! 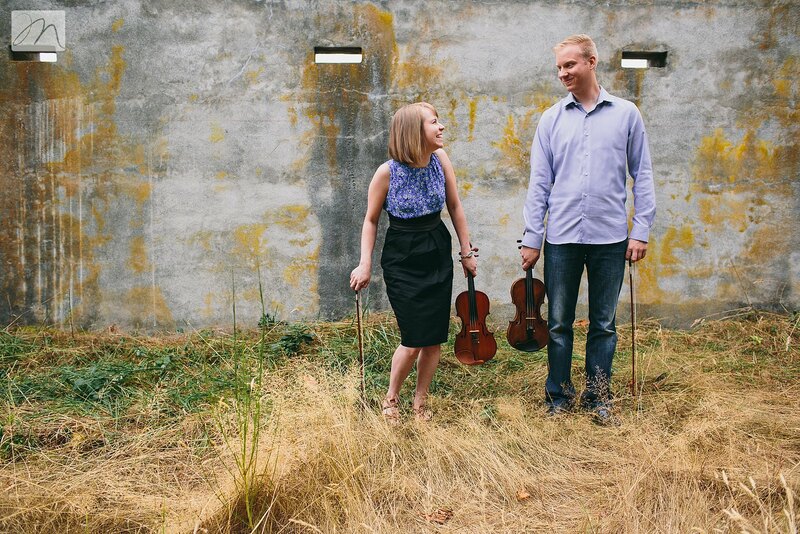 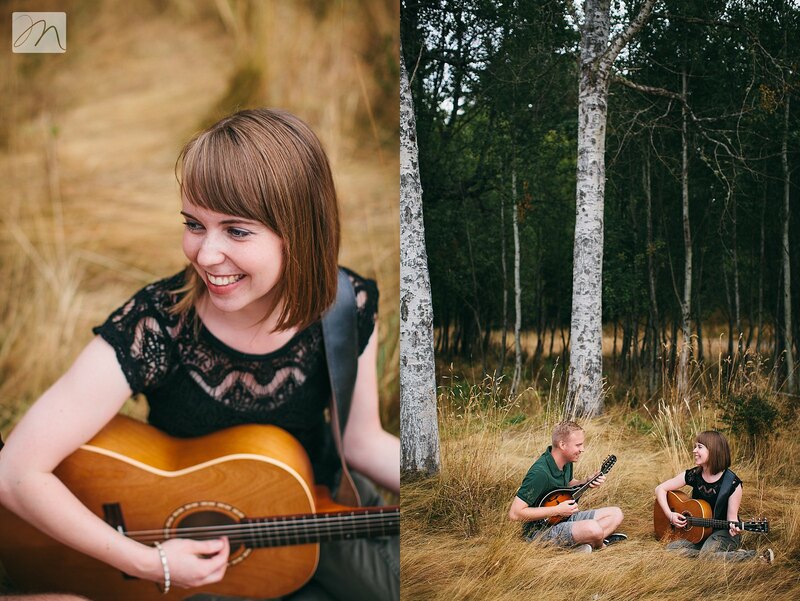 This is one seriously talented couple, folks. 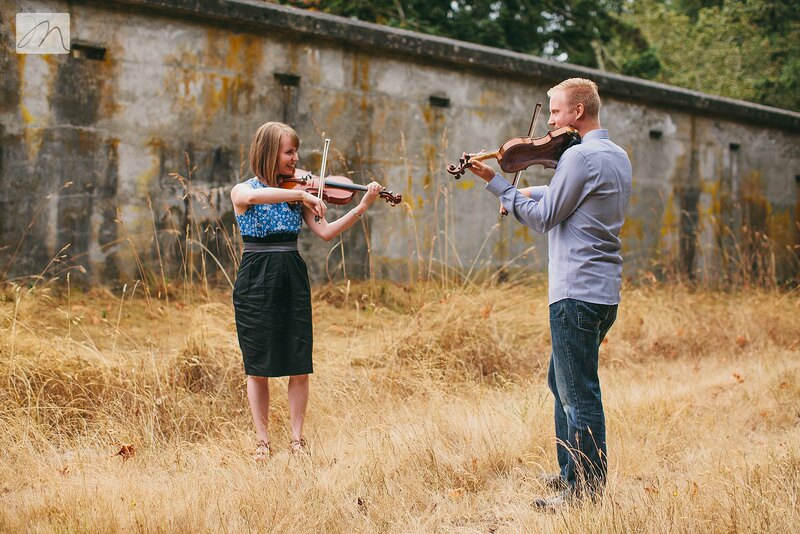 No messing around here...they both play a multitude of instruments and have professional training in music. 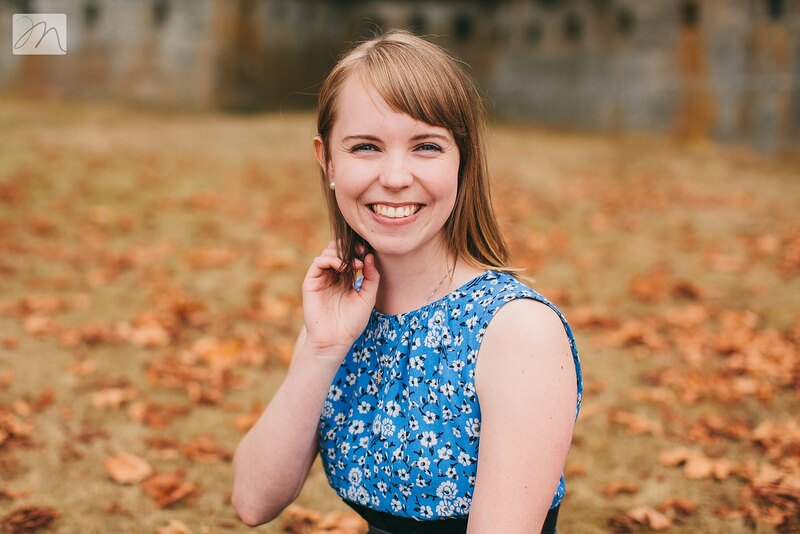 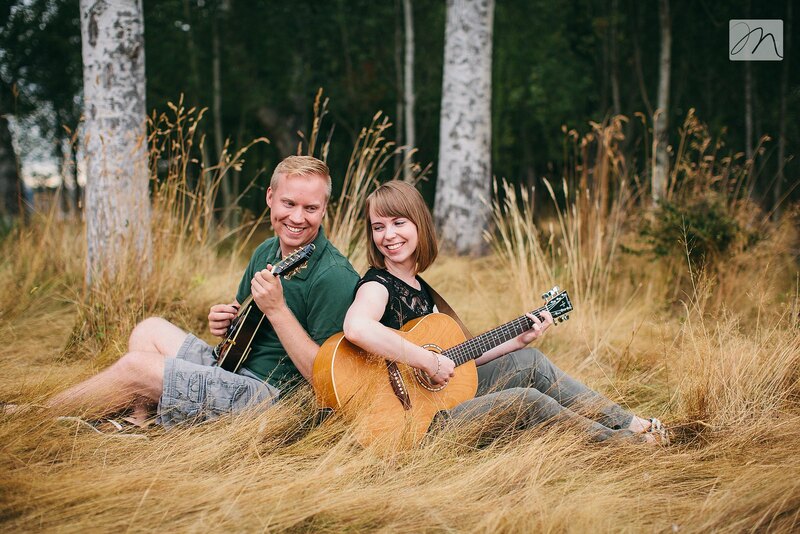 Steve teaches music, and Andrea is a music therapist! 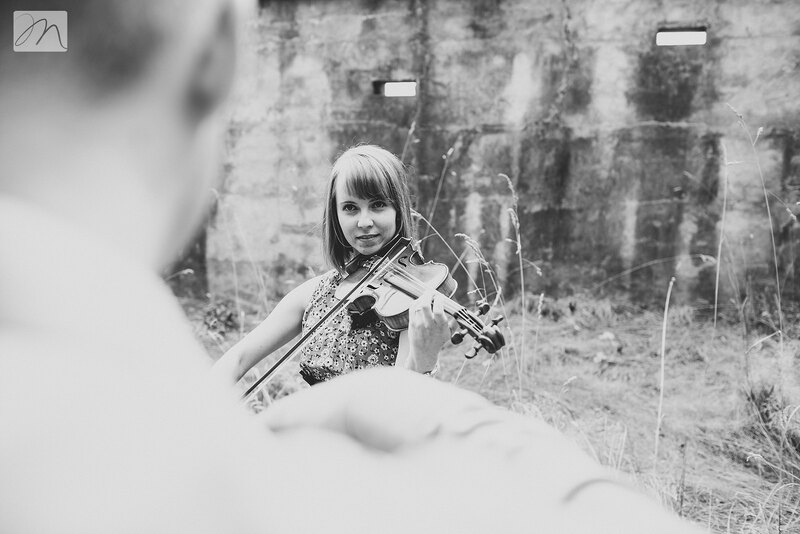 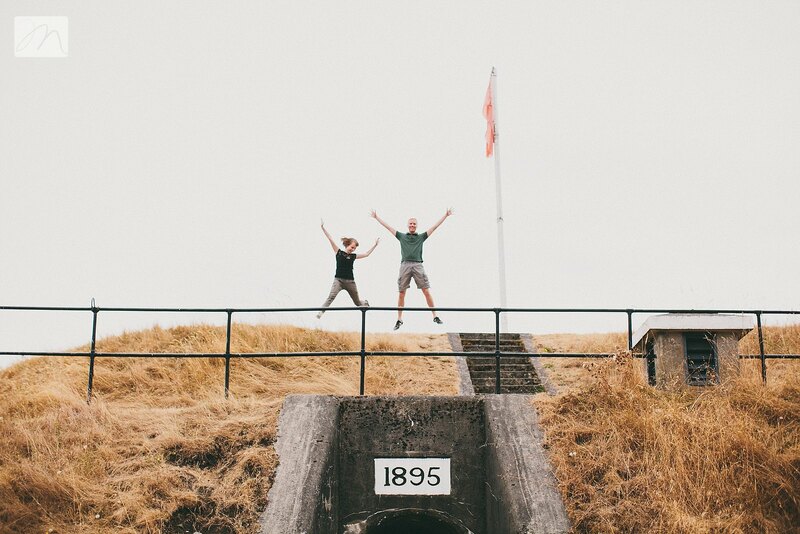 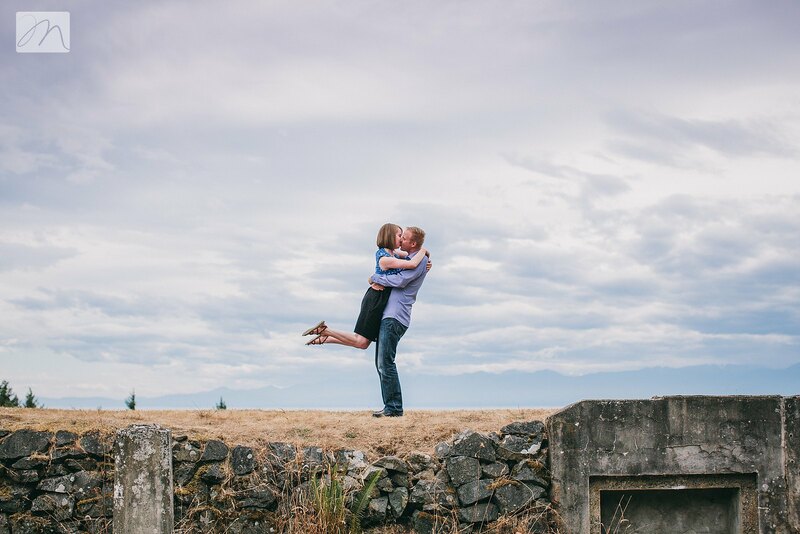 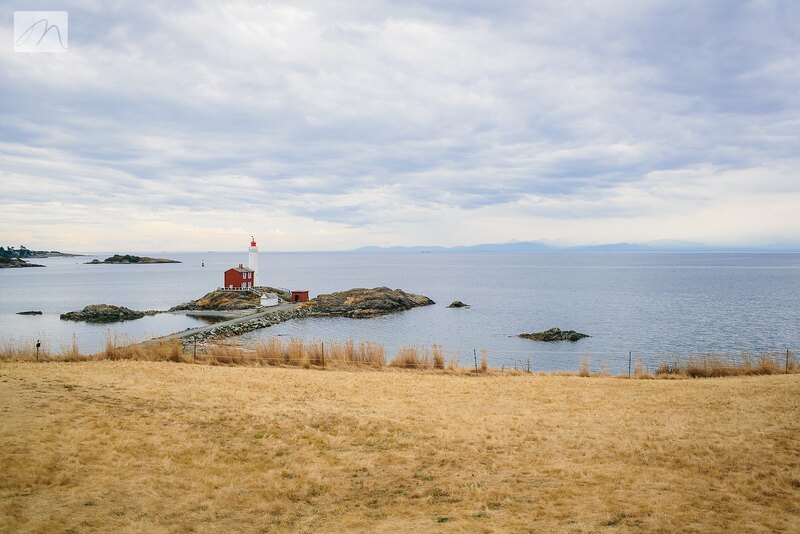 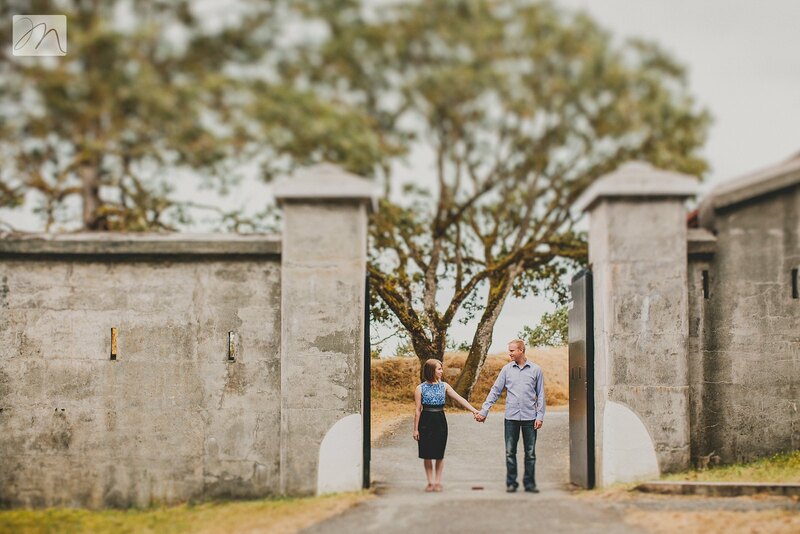 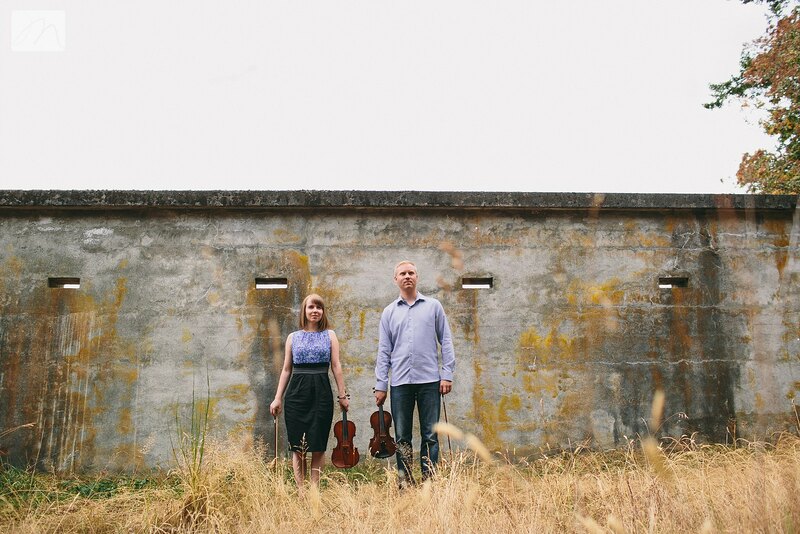 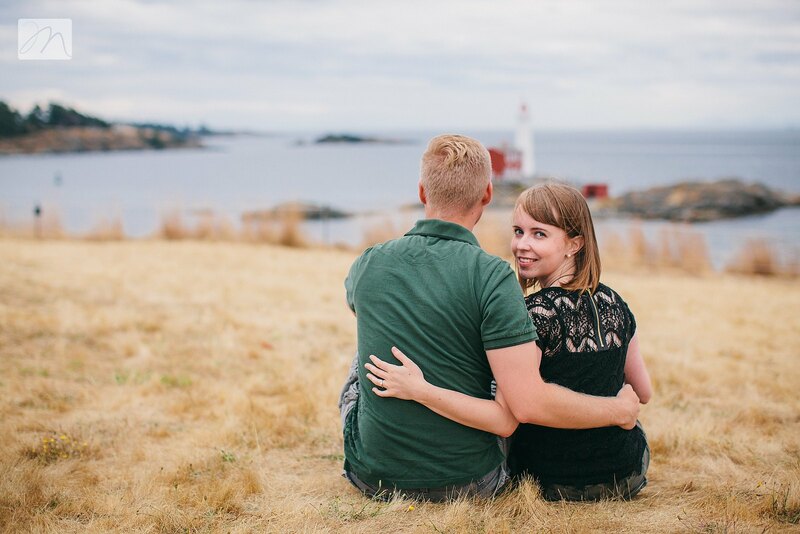 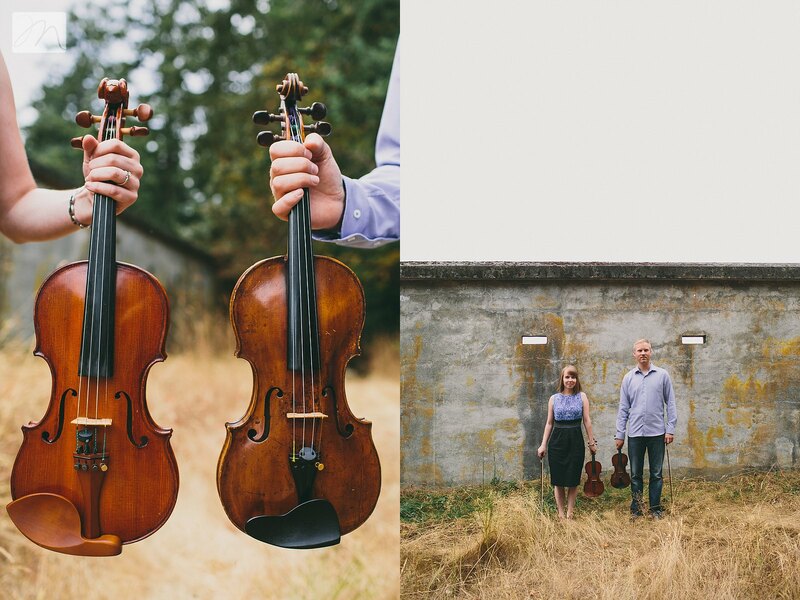 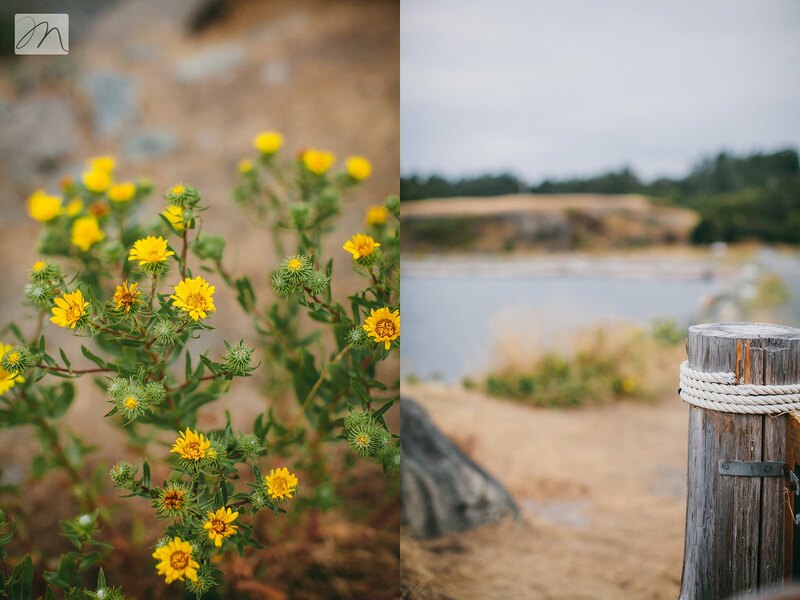 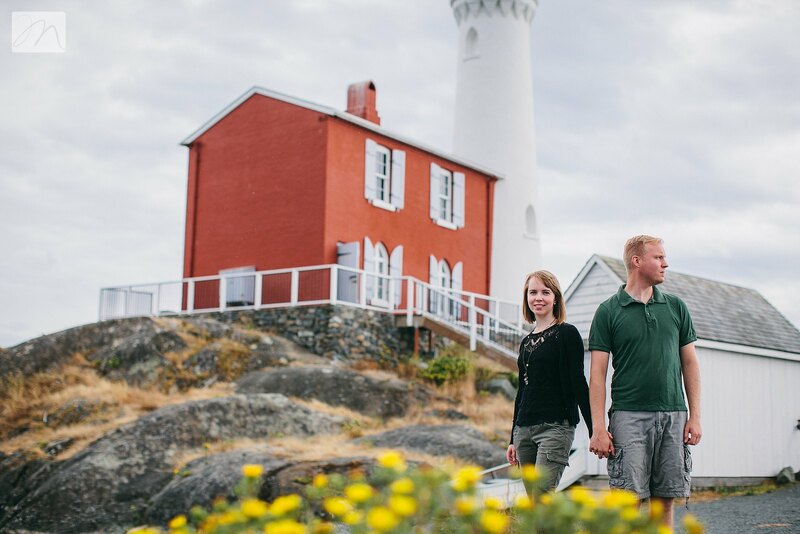 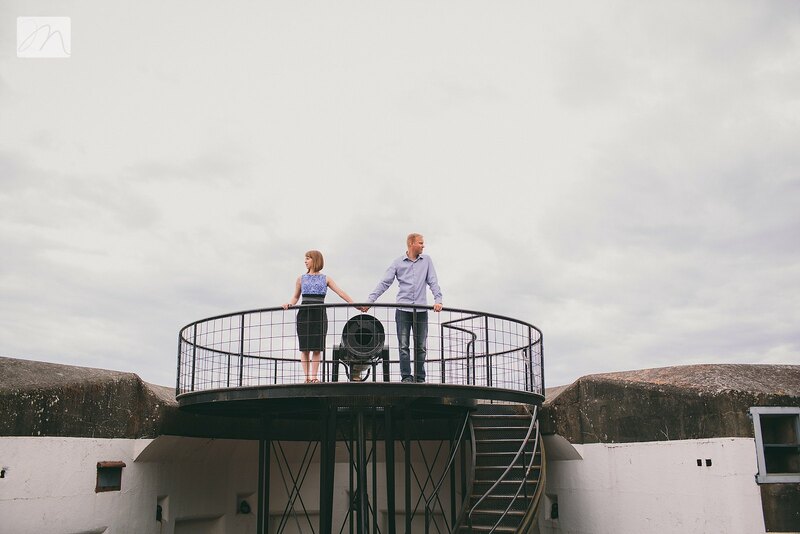 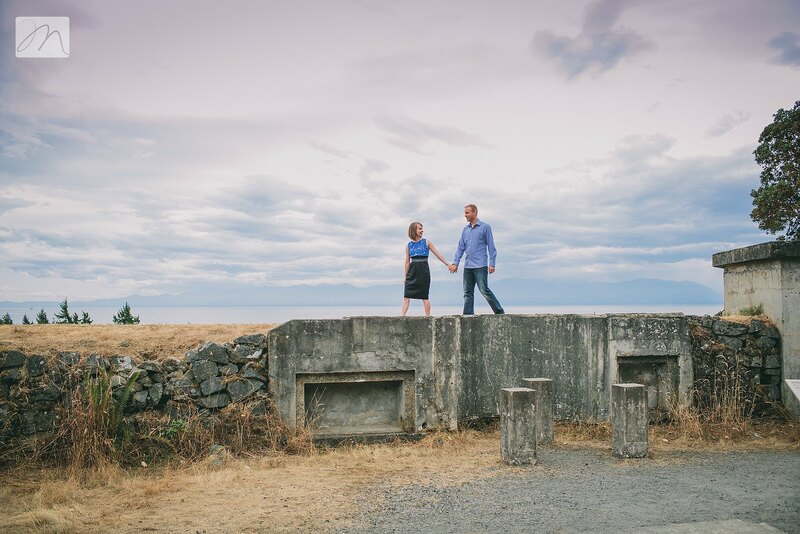 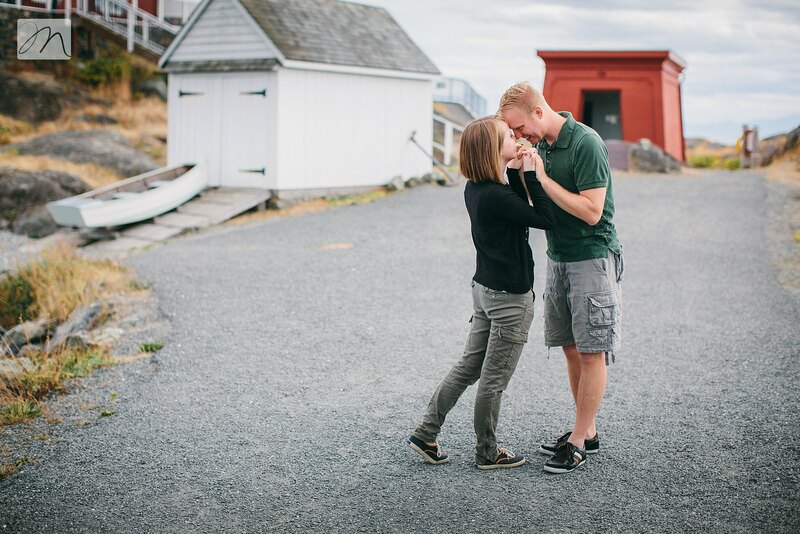 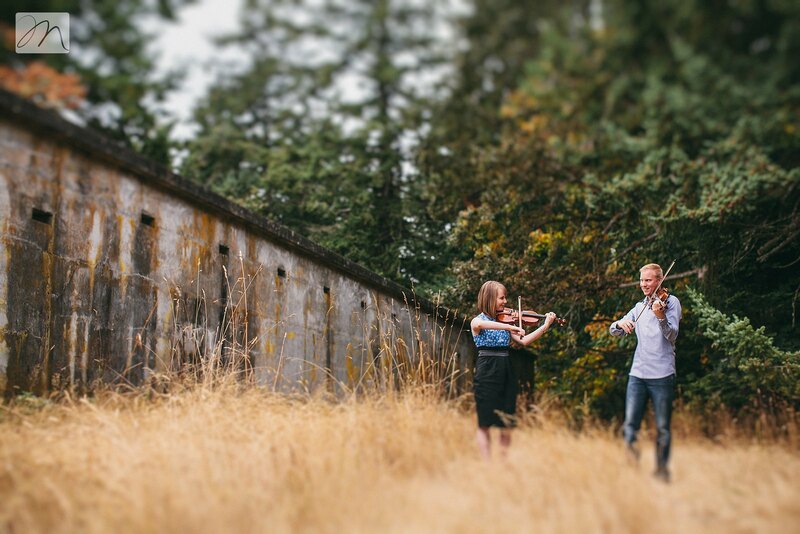 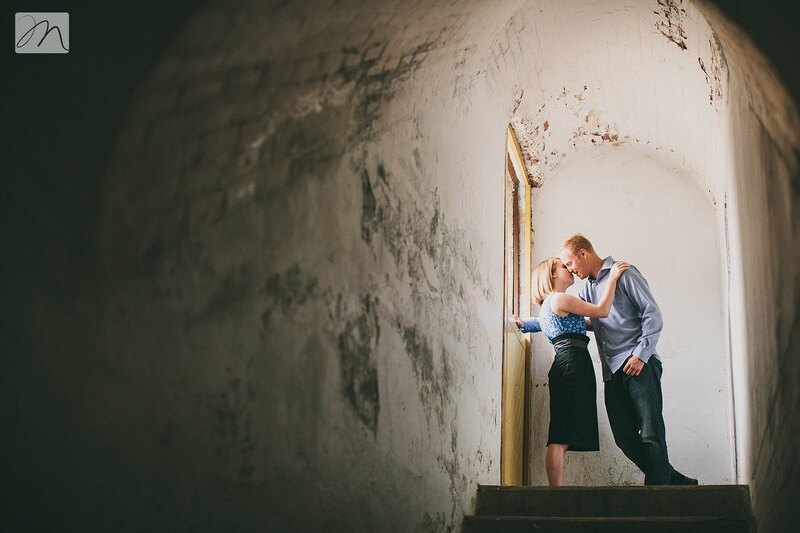 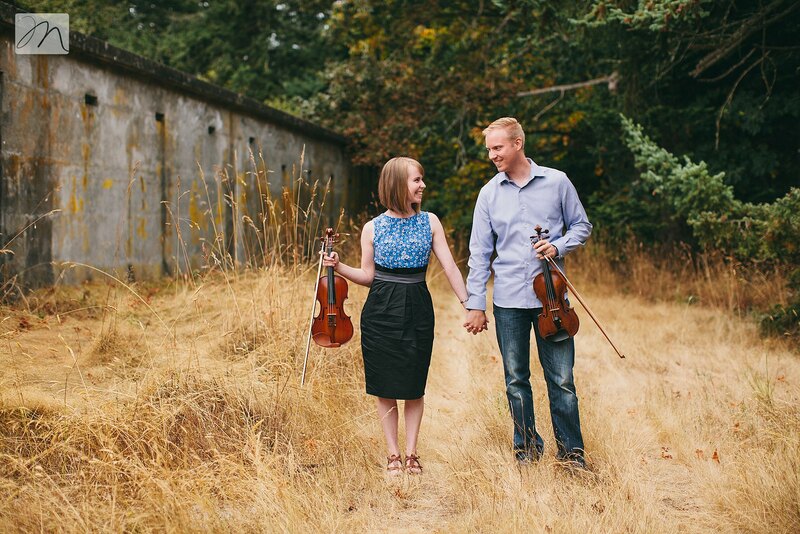 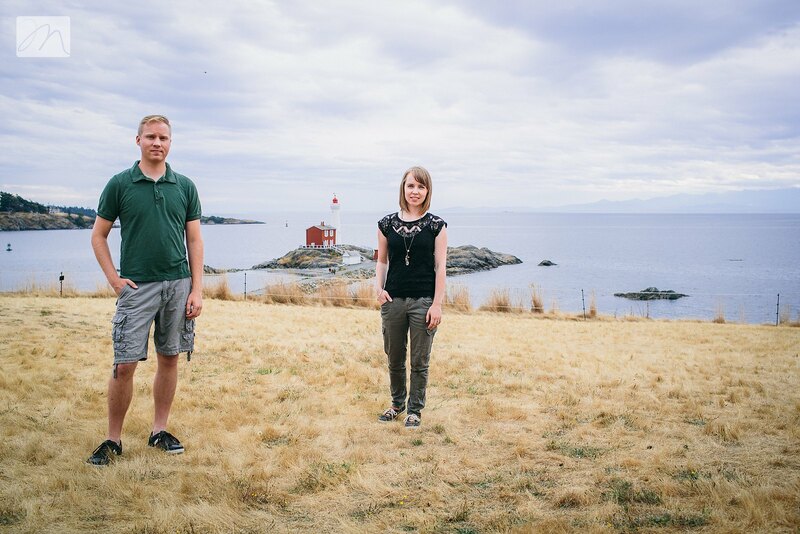 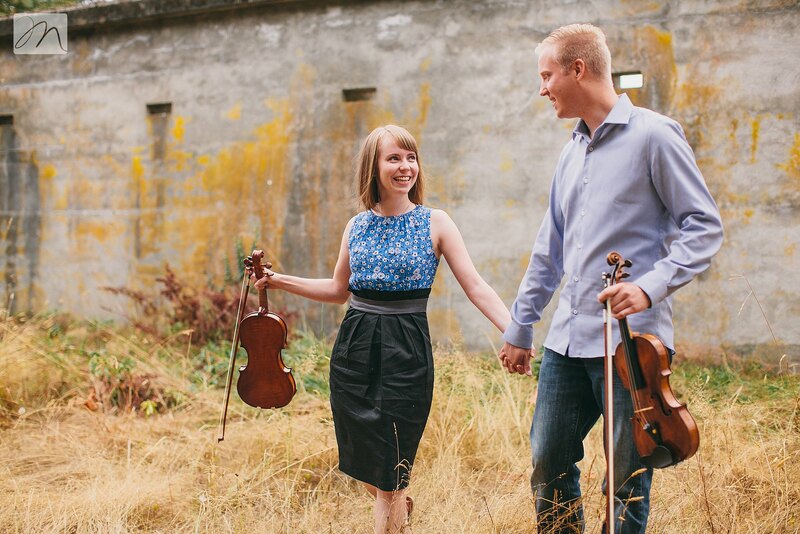 So, really, we shouldn't have been shocked when Steve opened the car trunk in the parking lot of Fort Rodd Hill at their engagement session, and revealed several cased instruments!!! 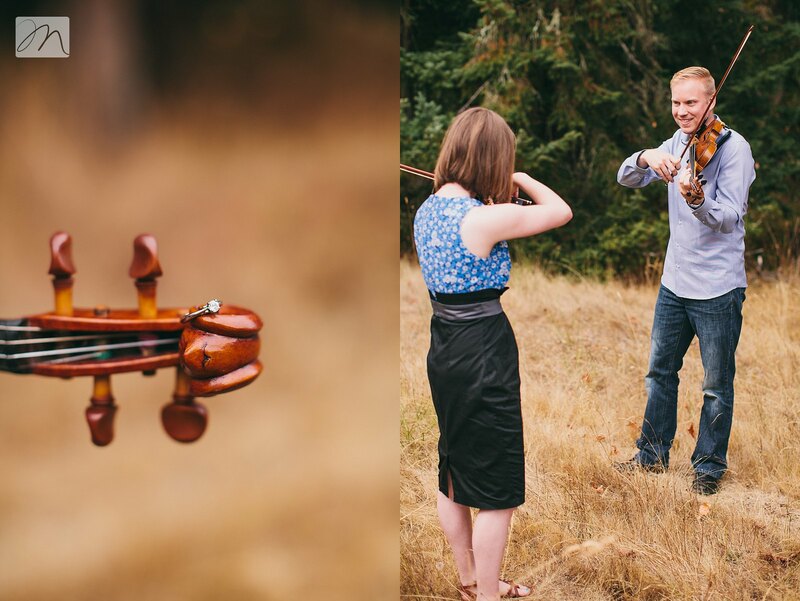 I always offer a wardrobe change for engagements sessions, but I have never had an instrument change before. 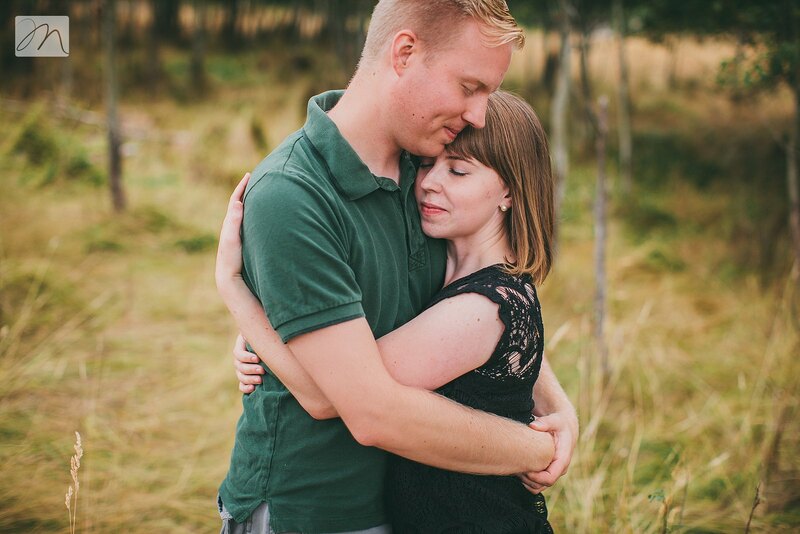 This is a first...and I love it. 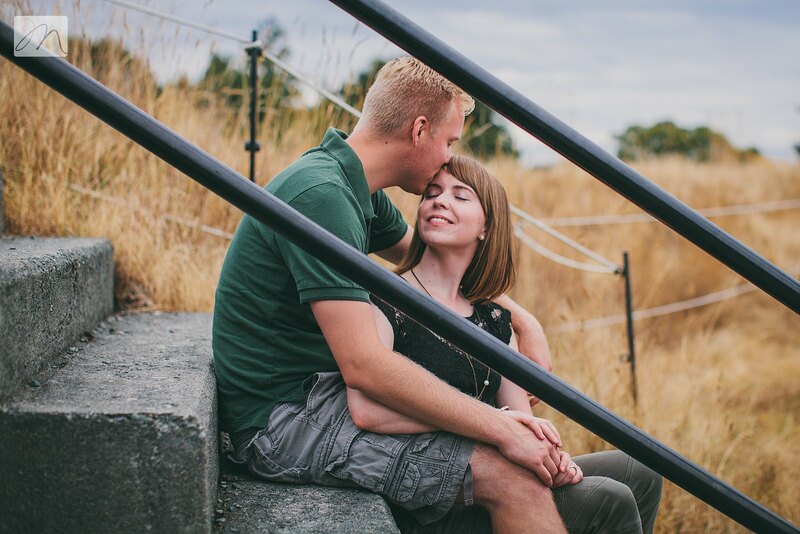 Steve and Andrea's connection goes beyond music though. 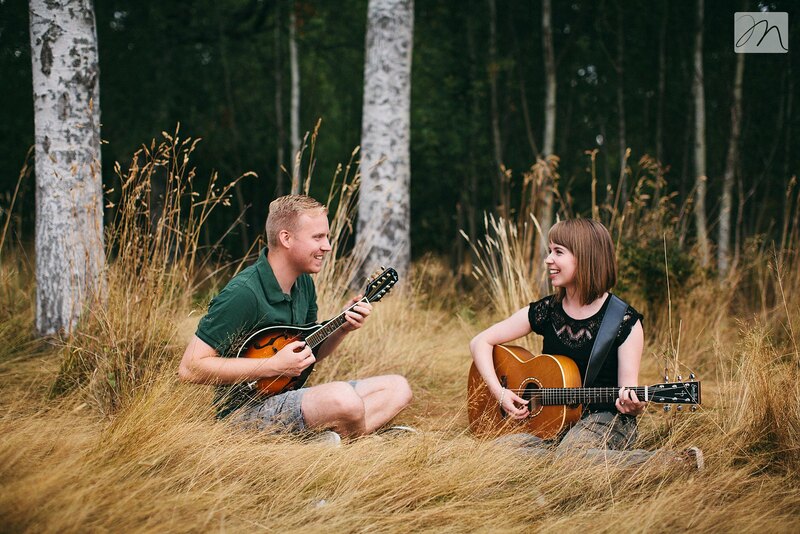 Yes, they have their own little musical language (I didn't even pretend to catch all their jokes), but they also share a heart for service and ministry...and they really love each other!!! 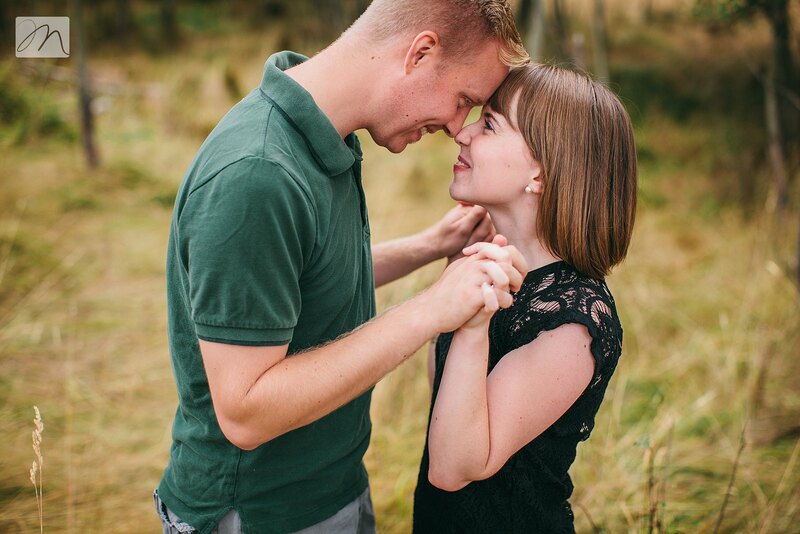 After a double dessert date with the two of them one evening, it became even more clear how awesomely they compliment each other in personality and temperament..so cool to see. 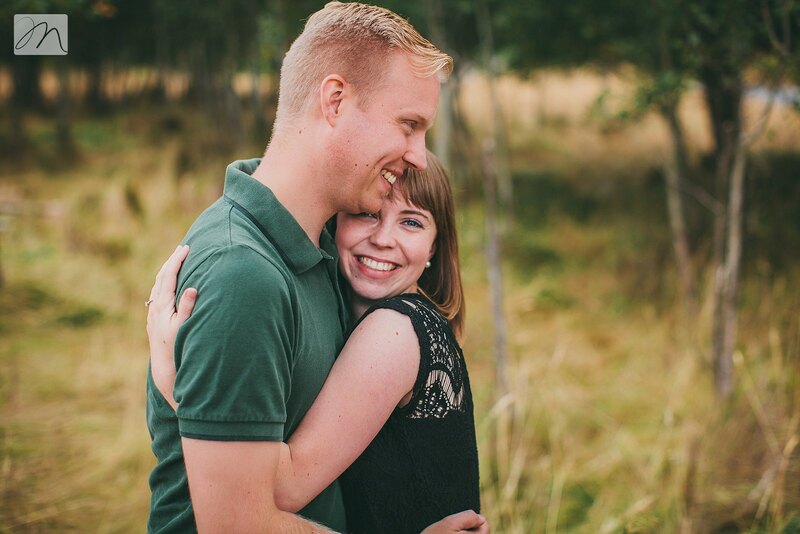 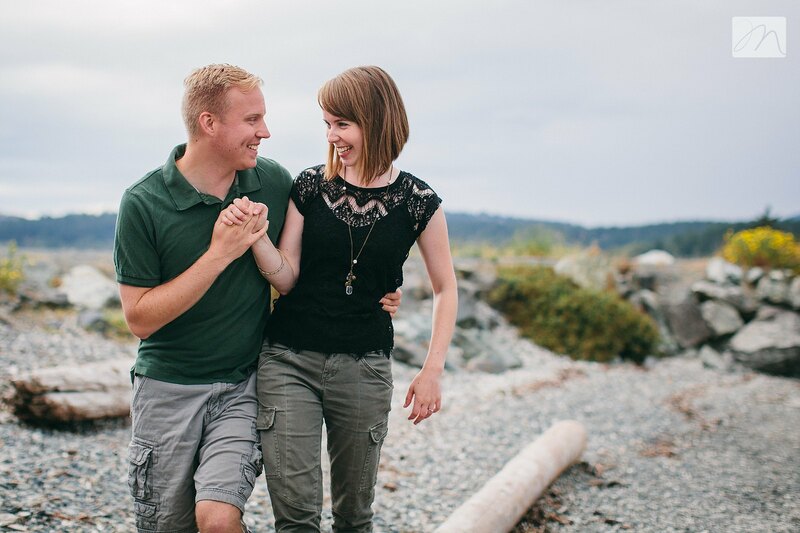 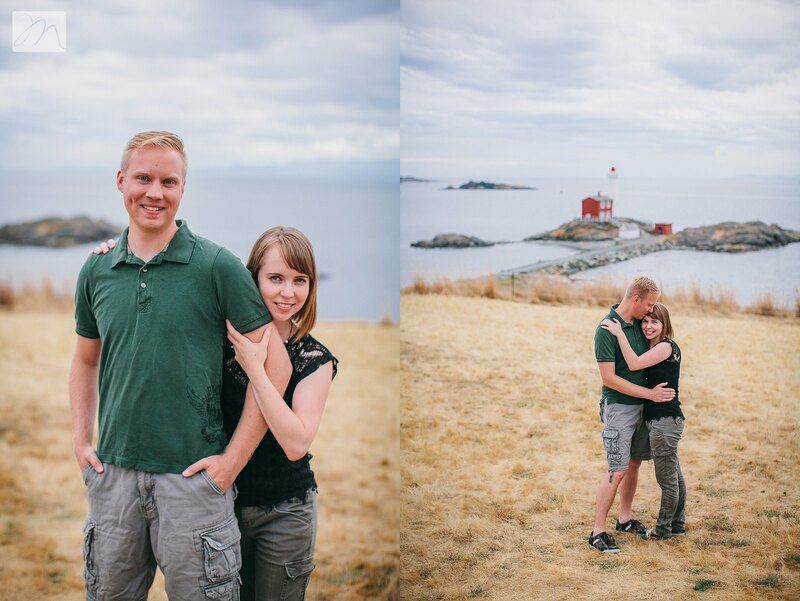 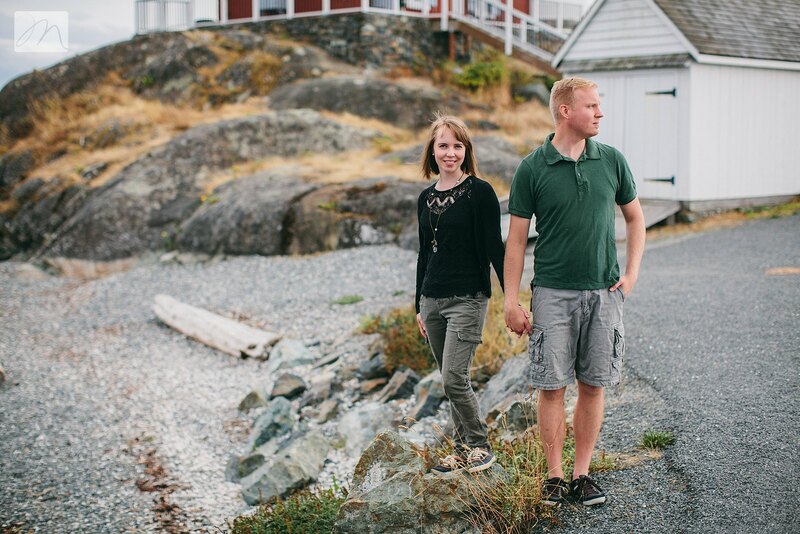 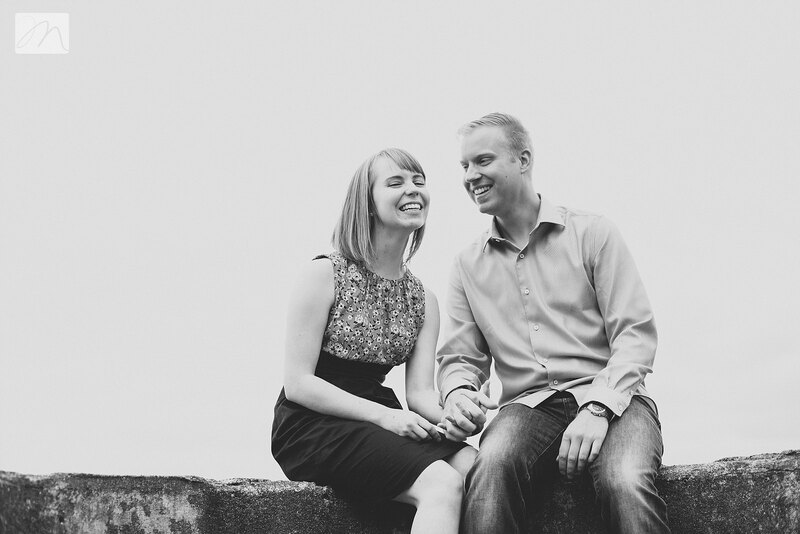 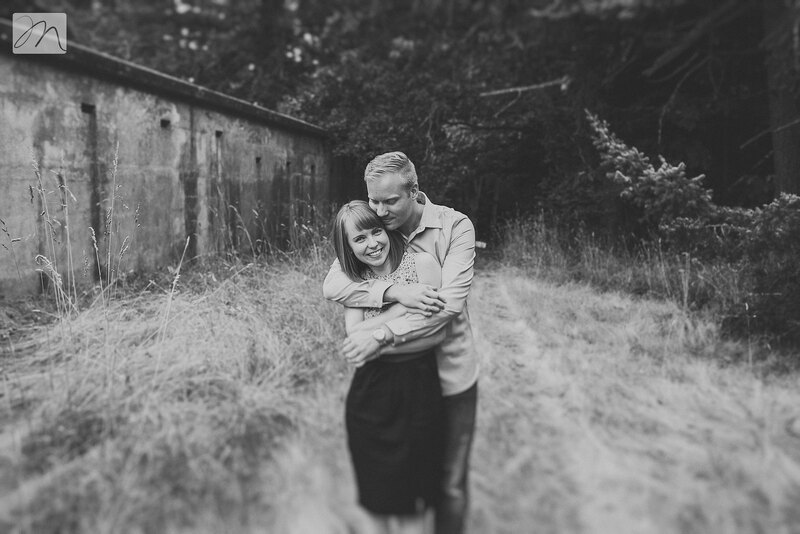 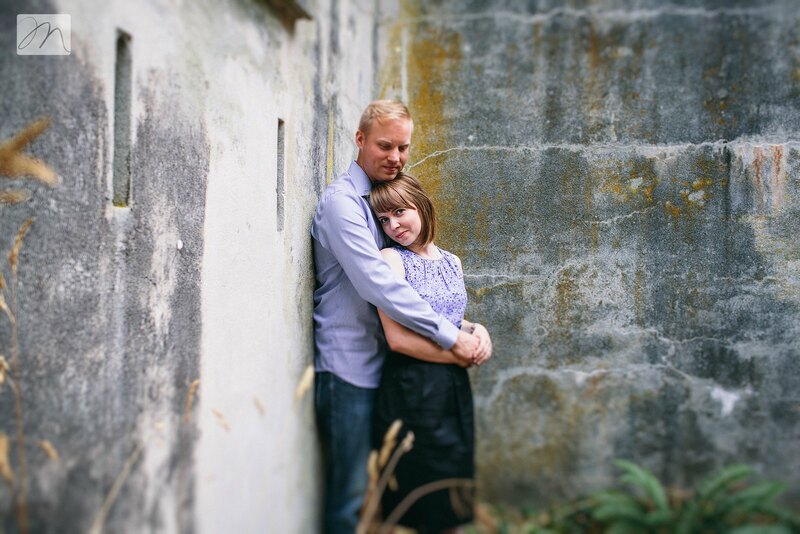 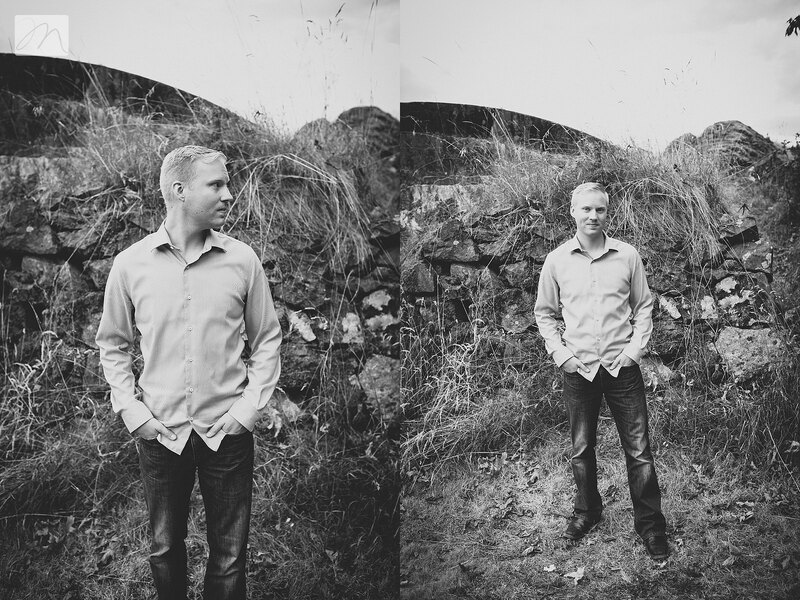 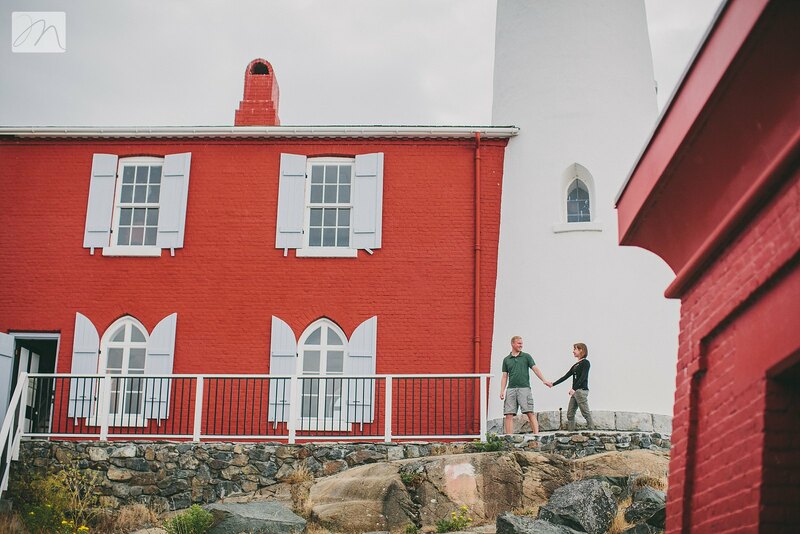 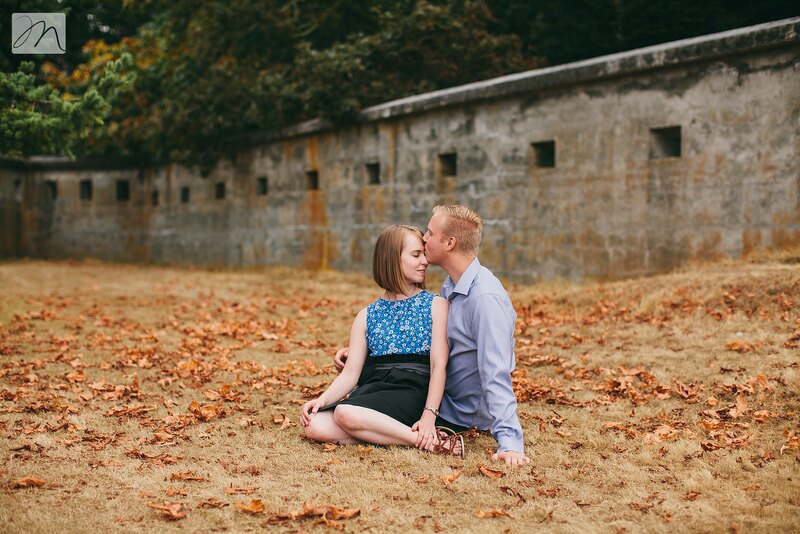 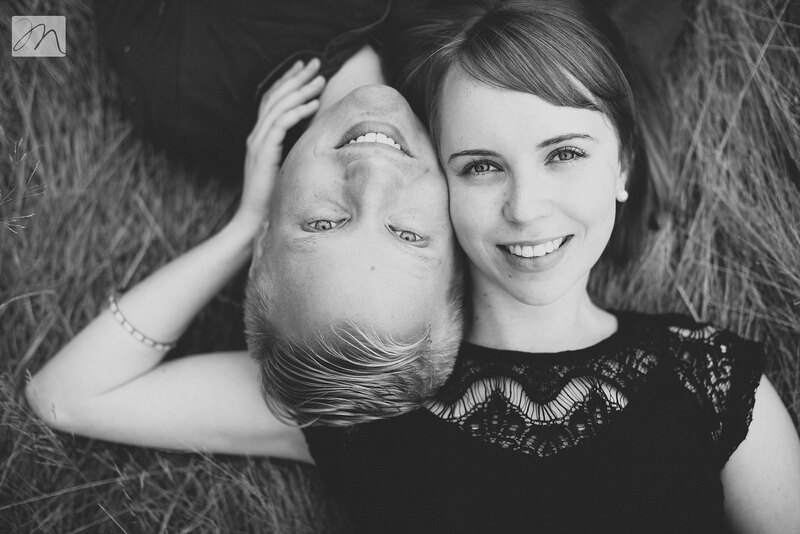 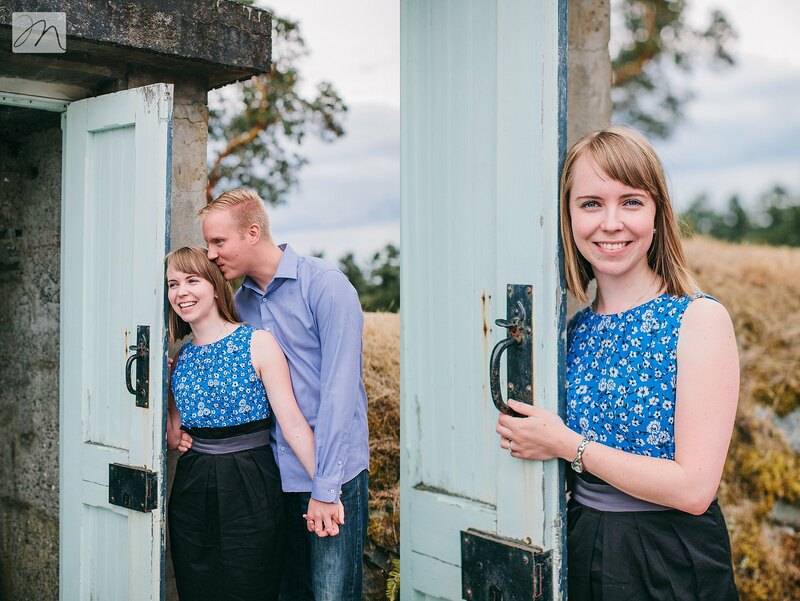 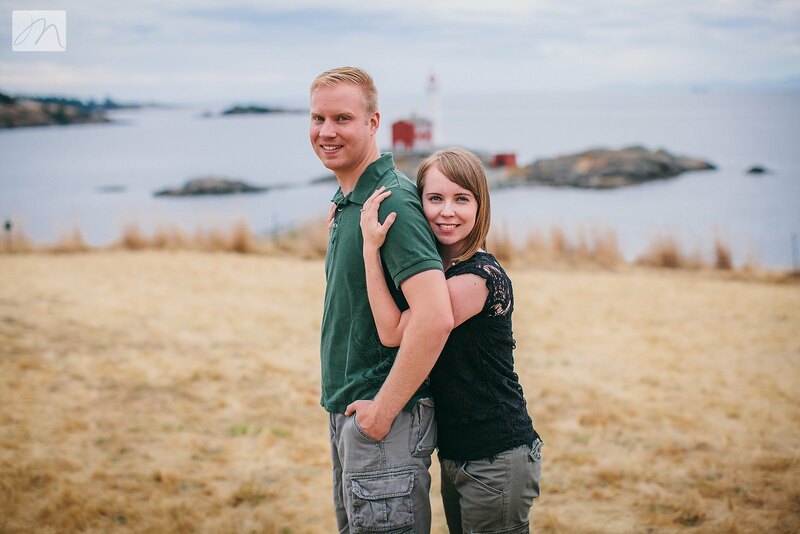 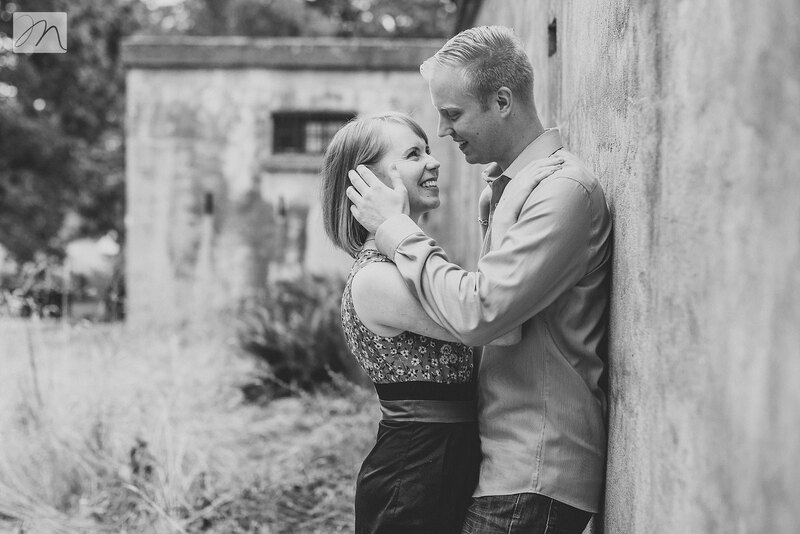 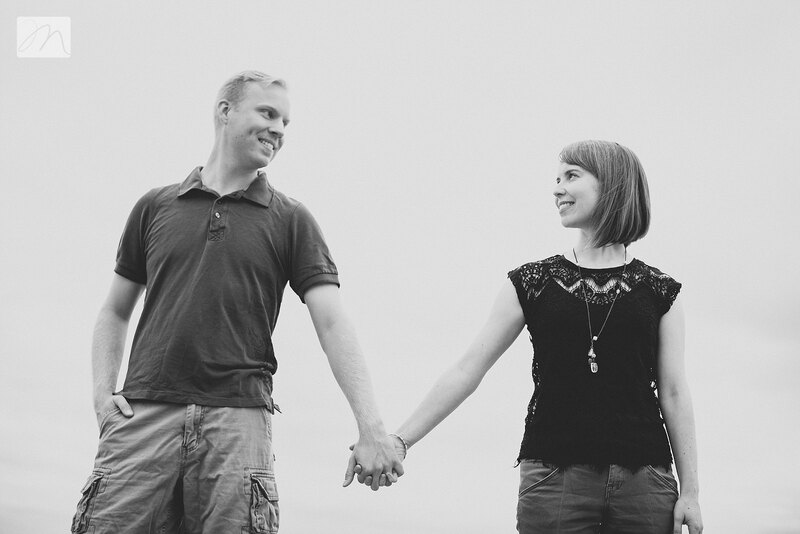 It makes my Steve and I even more excited that we get to photograph their wedding just before Christmas!